sample source - 1 GB in stereo wav format, all samples are perfectly looped and contain the unity note info for quick and proper automapping. The sample source is also included as a multisample library. Complex NN-XT bank - we combined the two methods that we use in our products: the maximal utilization of NN-XT's power and the rich sound of the original D-50 synthesizer. 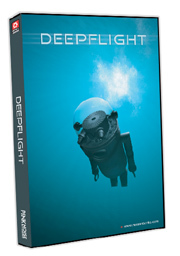 These templates have specifically been developed for Deepflight refill. All other patches in the refill are based on these templates - you can find 46 combi patches in total.